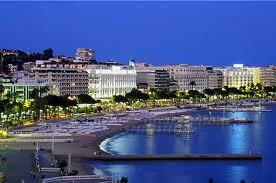 The Festival of Cannes 2015 will take place from May 13 to May 24, 2015. All is ready for one of the most important social event of the French Riviera. The Festival will catapult the french town at the centre of the attention of the mundanity and the international cinema, Cannes will be for 10 days the catwalk for the artists of the star system, artists, celebrities and all the people who work in the movie environment will meet at the Croisette, the famous promenade of Cannes. .
For information, schedule and screenings you can visit the website of the Festival of Cannes.